Haiti is located on the western side of the island of Hispaniola, in the Caribbean Sea, with an estimated population of 8.5 million. Trademark application are filed with the Intellectual Property Service in the Ministry of Commerce and Industry. The Republic of Haiti has explicit laws regarding the protection of trademarks. The registration of a mark in Haiti is valid for a period of ten year and proof of use should be provided before the sixth (6th) anniversary from granting. Renewals is every 10 years and the same proof of use for each renewal need to be submitted to avoid cancellation. There is a grace period of six (6) months after the expiration of the trademark during which it may still be renewed upon payment of additional fees. The Certificate of Registration is valid only within the jurisdiction of the Republic of Haiti. Trademark application requirements include a power of attorney signed or sealed, design trademarks in JPEG format, detailed description of the goods and/or services, Applicants name and address. In Haiti, the exclusive rights to a trademark are granted only by registration, as it is a “first-to-file” jurisdiction. However, in exceptional cases, well-known trademark can be protected even if they have not been filed yet. In Haiti, the exclusive right to use the trademark is limited to a use of the trademark in the exact configuration or way in which it was filed and registered. If a third party intends to register or use a trademark for similar goods or services that includes a primary or distinct part or portion of a trademark, an opposition can be filed based on confusing similarity. The opposition period is open for a period of two months starting on the publication date, during which interested third parties may file opposition actions. While a trademark does not need to be in use to register in Haiti, it must then be used continuously and in good faith in order to maintain its validity. Lack of use during the first five years of registration makes it vulnerable to cancellation actions for lack of use. History: Next to the Dominican Republic on the island of Hispaniola, Haiti is part of the Greater Antilles archipelago. Before the Spanish surrendered Haiti to the French in 1667, it was inhabited by the Arawak and Carib Indians. The French settled the island, originally naming it Saint Domingue. The French continued to control the island until 1804 when Haiti declared itself as independent and changed the name to Haiti, its Taino Indian name. Thus, Haiti became the first nation to be controlled by people of African descent. Its official languages are Haitian-Creole and French, and its capital is Port-Au-Prince. Being in a prime location, Haiti is in close radius to some of the world’s main sea ports, allowing it to participate in international trade. Haiti benefits from tariff-free access on almost all exports to the United States. 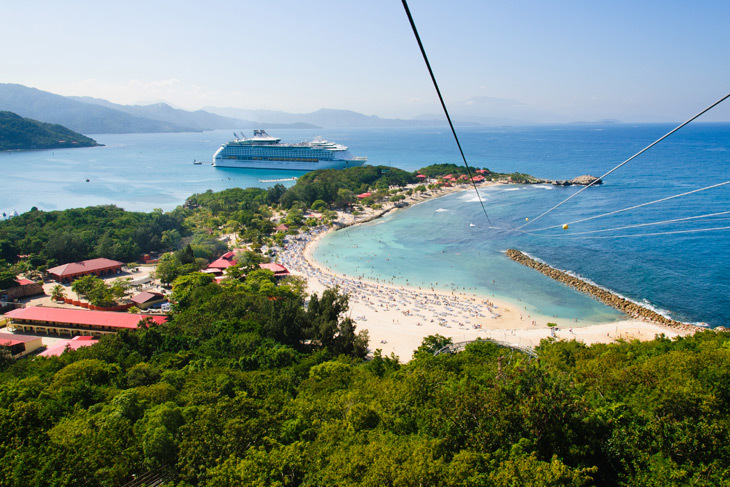 This, in addition to a thriving tourism sector, is slowly helping Haiti’s economy bounce back. The entire island (including the Dominican Republic) is known as Hispaniola and is the third largest country in the Caribbean. 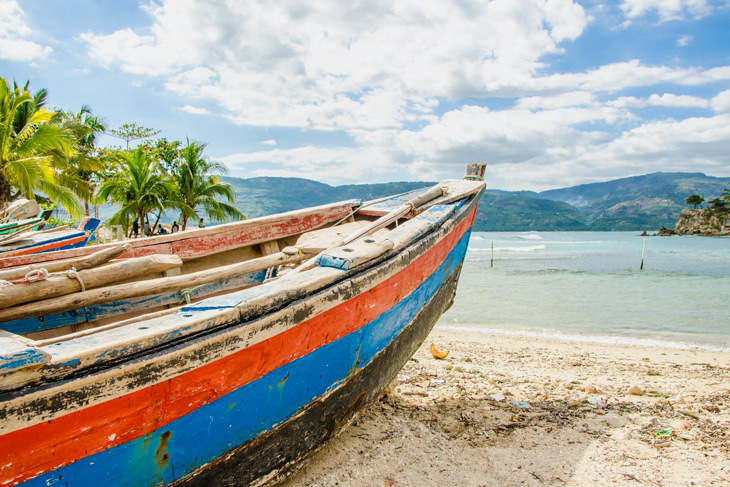 Haiti’s beautiful beaches, waterfalls, and mountains have increased tourism in recent years.